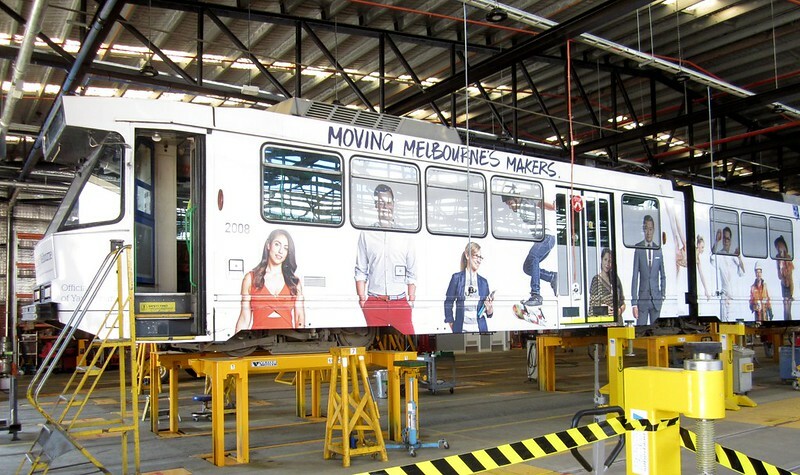 Dandenong based company Bombardier will design, construct and maintain 50 new low floor trams for Melbourne as part of an $807.6 million investment by the Brumby Labor Government including a new tram maintenance and storage depot at Preston. This was an upgrade to the existing Preston depot, originally built in 1924 for construction of the W-class fleet. The renovations took some years, and had to respect heritage aspects of the complex, as well as cope with tram operations during construction. 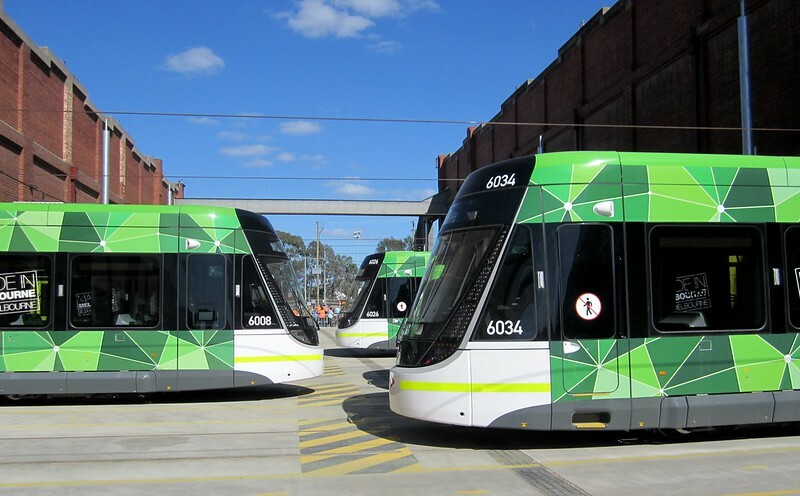 But it’s now completed, and on Sunday Yarra Trams held an open day, with an official opening from the Minister for Public Transport. I went along for a look. 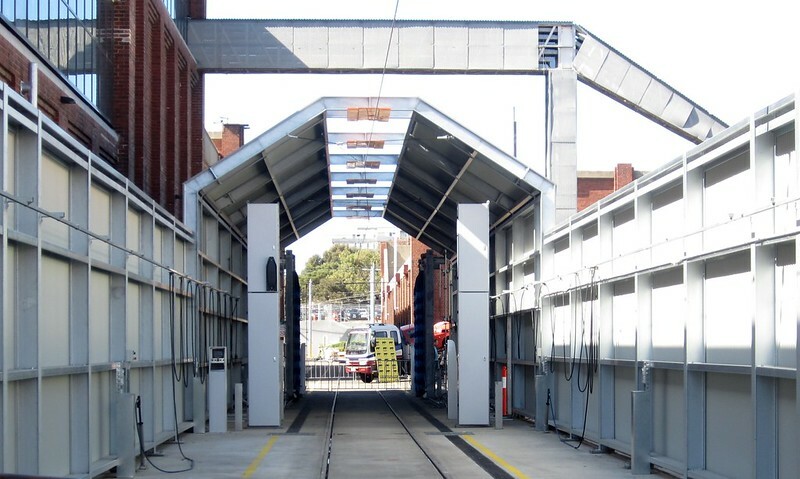 The automated tram wash. 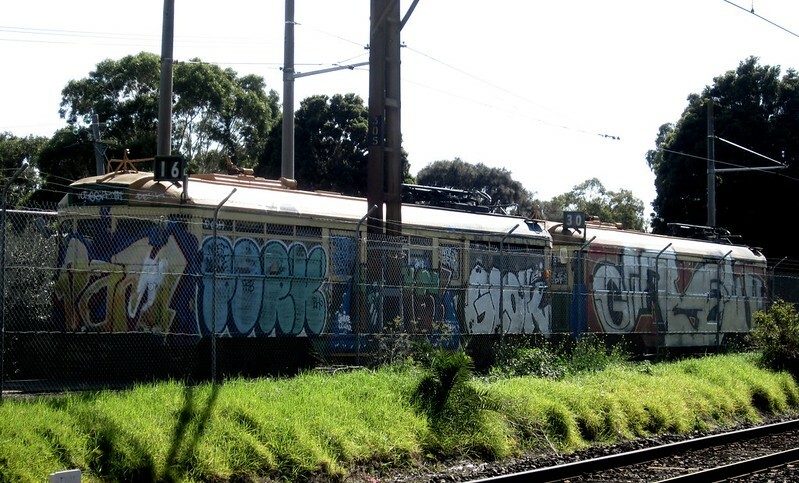 It can handle any class of tram — though presumably someone needs to close the windows (where applicable) first! The sanding area, where trams sand hoppers can be refilled. Sand is dropped on the track when extra grip is needed. A traverser, for moving trams from track to track. 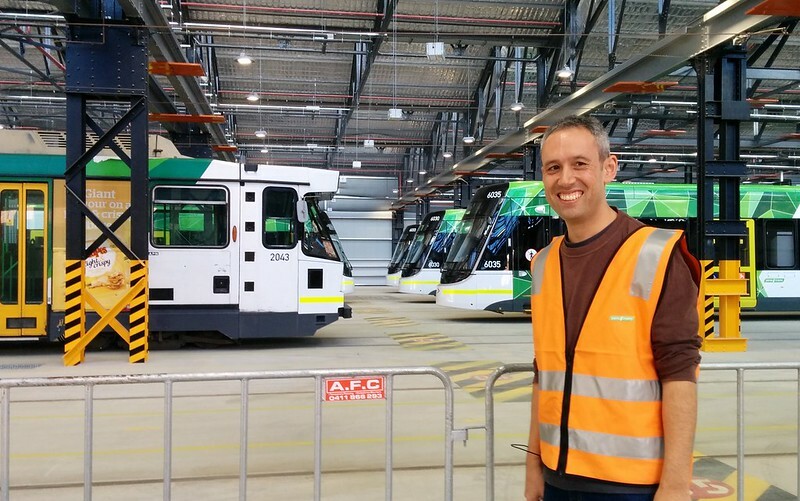 Our guide wasn’t sure if the new, 33-metre long E-class trams might just fit. 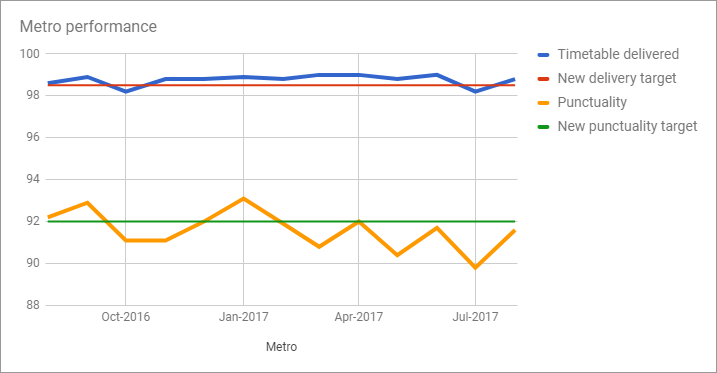 I like that it’s in “Met” colours. You can see at least one Z1 tram in the background; they will be out of service forever, retired by the end of this month. B-class tram up on jacks for repairs. It’s quite impressive to see up close. 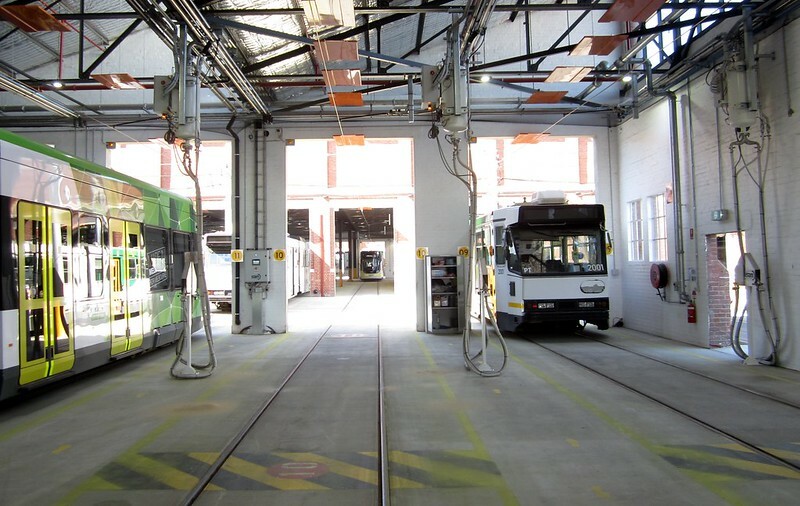 The depot can handle repairs to any class of tram, though normally it appears only B and E-class trams are stabled here. 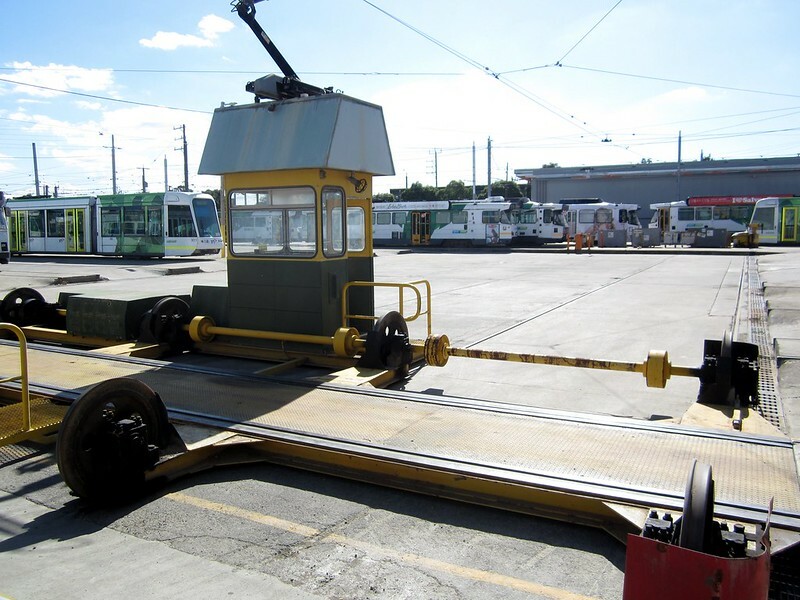 Minor repairs are also done at local suburban tram depots. 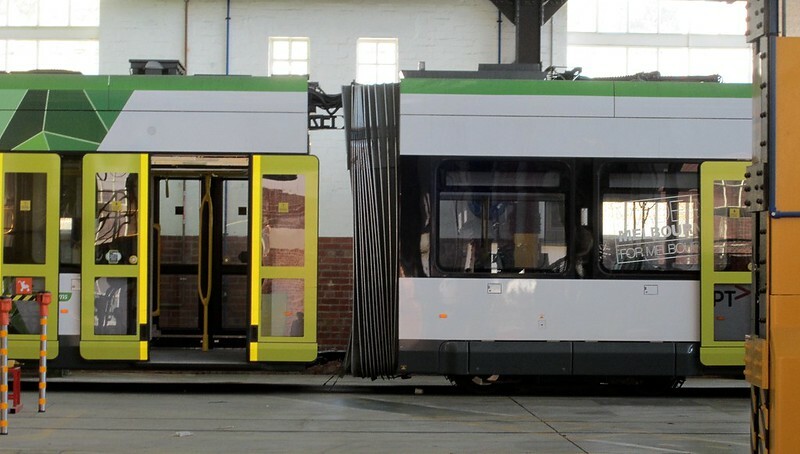 Another B-class tram with the front taken off. The depot workers had a say in how it should be laid out after the renovation. 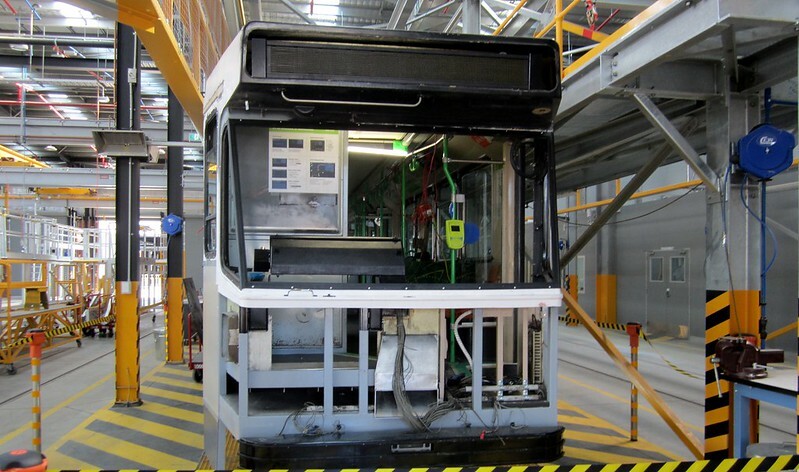 E-class tram in for some work. 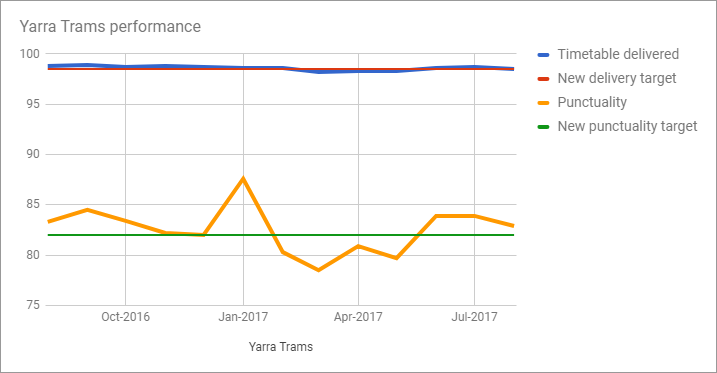 The E-class trams are not perfect, but they do bring welcome extra capacity, and importantly increase the number of accessible trams on the network. And they do look rather splendid in the sun. 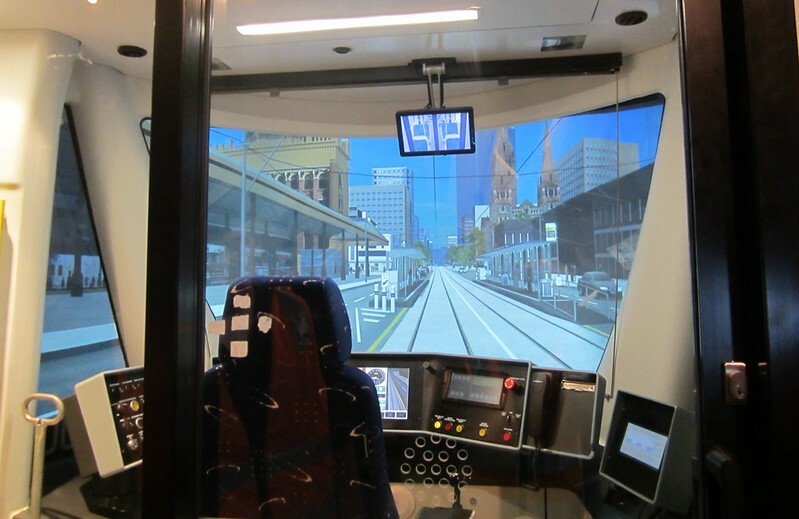 Yarra Trams has several tram simulators. One portable one was set up in the depot for visitors to have a go on (and boy was it popular), but this is the permanent, more fully-featured version. 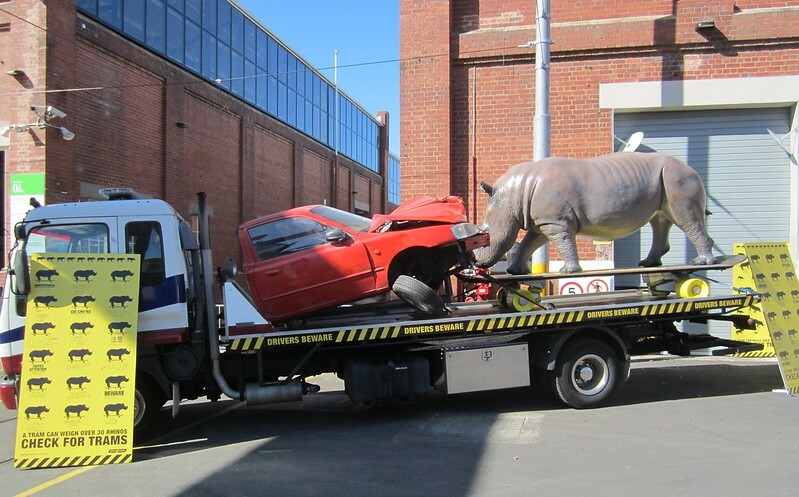 Spike the rhino on display outside. 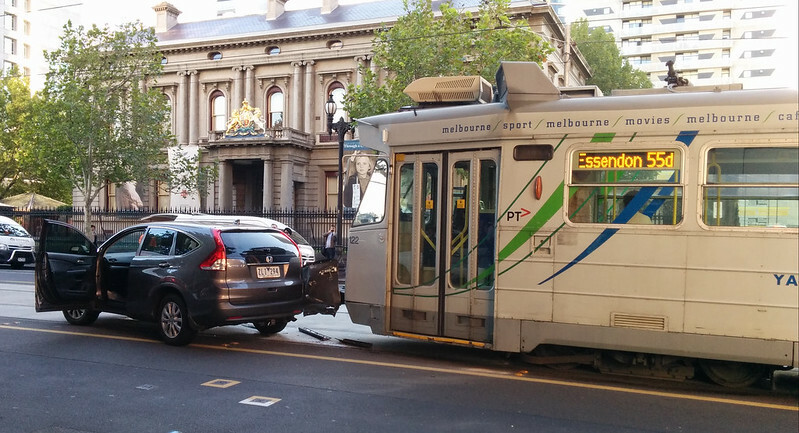 The campaign around awareness of trams continues. B and E class trams, and some dork in high-vis. I was surprised at how orderly the depot appears. 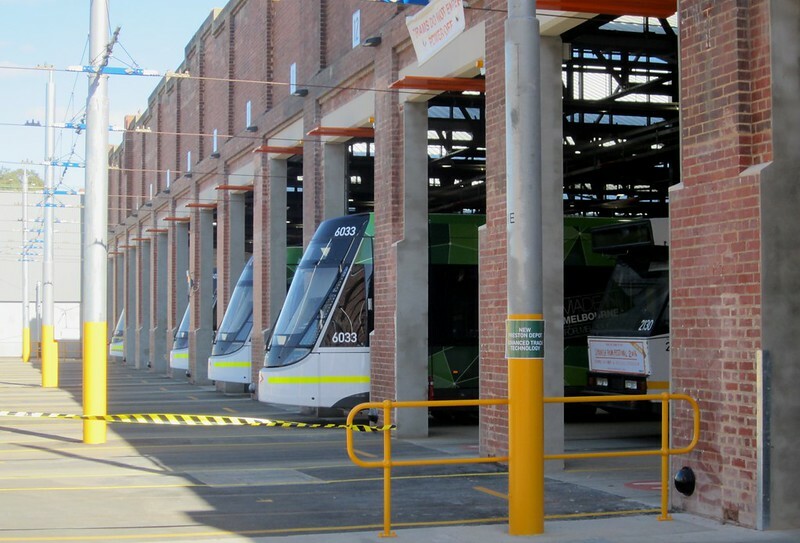 Just outside the depot is the tram and pedestrian-only Miller Street, over the South Morang line, connecting to nearby route 86. If it looks familiar, I’m pretty sure it’s where that iconic scene in Malcolm, of the title character coming over the hill, was filmed. One sad note. Sadly, at the southern end of the depot, well away from the operational part of the complex, two W-class trams sit neglected, vandalised. But that said, the depot upgrade is great to see. 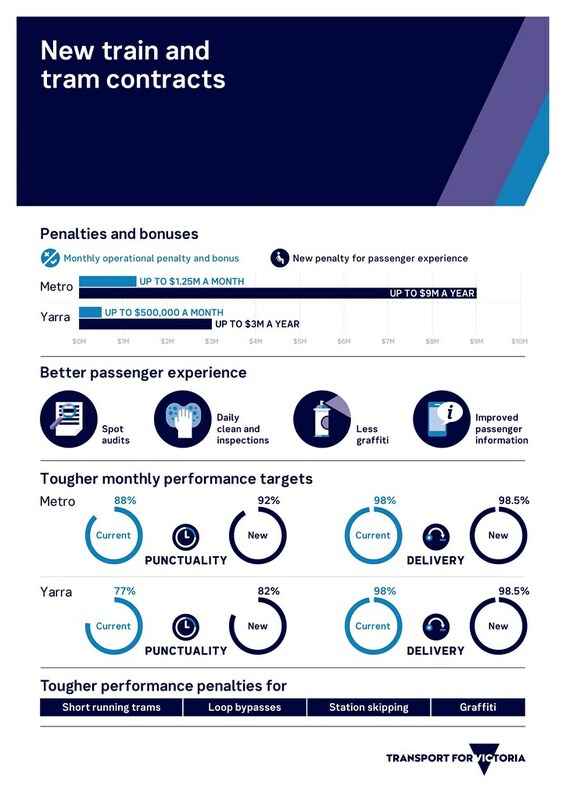 This kind of investment in the capacity and efficiency of the tram network is important to keep services improving. 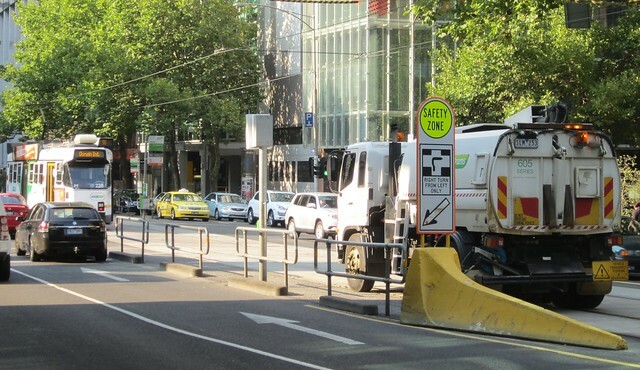 Now, if only the government would get fully behind proper tram traffic priority, so these valuable assets could spend less time waiting at traffic lights and stuck behind queues of cars, and help trams reach their true potential to keep Melburnians on the move. 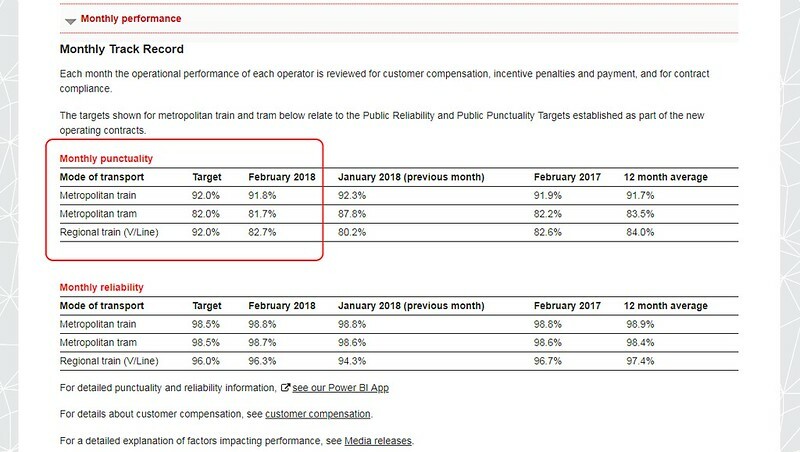 There’s a legendary excuse for late-running trains in Britain called the wrong type of snow (fallen on railway lines). Apparently the wrong leaves are also blamed sometimes. 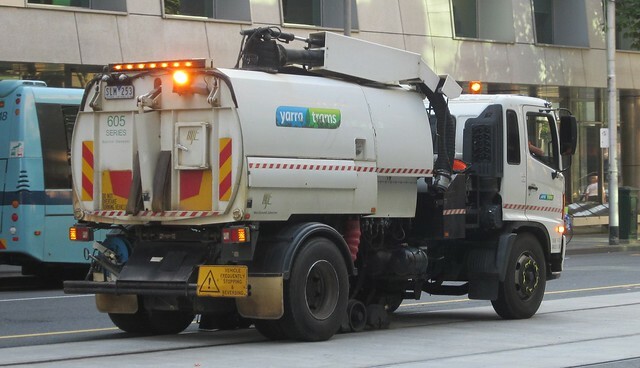 I recall a Yarra Trams person telling me that while they love Melbourne’s leafy streets, some of our local trees drop the wrong leaves (I’m paraphrasing mind you, these are not her words), which does cause slippery rails, particularly in autumn — which is why, particularly at this time of year, you’ll see this beastie out and about, cleaning them up. Similar perhaps to a conventional street-sweeper, it’s got special wheels that go into the groove of the track to clear it out. It moves slower than the trams — on the morning I snapped it, it manoeuvred itself onto the opposite track when a tram came along, then moved back and followed it onward. Is this tram route map the wrong way round? While I applaud Yarra Trams’ efforts to put more information on-board trams, this map threw me for a moment. I’m used to seeing east (Box Hill) on the right, and west (Port Melbourne) on the left. This had it the other way around. And before you say it: it wasn’t designed to match the actual orientation of the tram and the outside world, because there were copies of this map on both sides of the tram, so one was the right way around, and the other wasn’t. Perhaps I need to just stop being such a map.square. PS. I suspect the real reason for it being like this is they wanted the major route to be at the top.